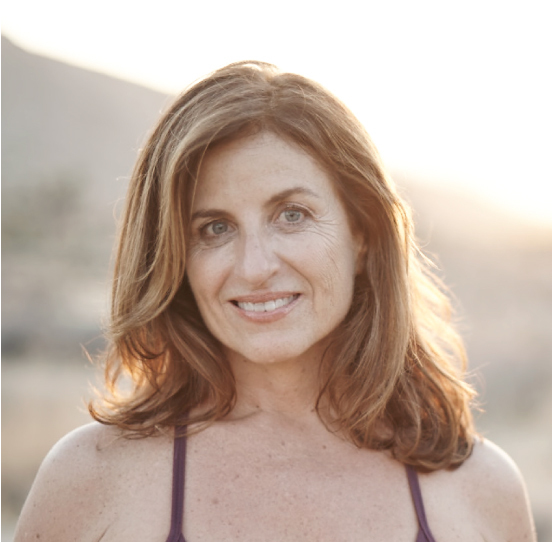 Marcela Widrig, founder of Fierce Embodiment, teaches men and women to release old beliefs, hurts, fears and the restrictive way they are held in their bodies today. She trained extensively with the Grinberg Method® for over 18 years, after getting her hands-on start in therapeutic massage and shiatsu. To be able to teach a wider audience and give her clients tools to deepen their learning, she continued her development with the Grinberg Method’s Stopping Movement training, Body-mind Centering®, Embodied Flow™ yoga and Motion Theatre®. This combination of somatic bodywork, movement training, breath and expressive arts has given her a rich variety of body-centered tools to guide clients through trauma and emotional challenges, such as fear, shame, humiliation and anger. Marcela currently teaches workshops in the U.S., Australia, New Zealand, Bali, Sweden, Denmark, Germany, Ireland, Italy and United Kingdom. My journey into bodywork started when I was 30 years old and living in Barcelona. A friend of mine had just started her training with the Grinberg Method and was looking for willing bodies to practice on, and I said yes. I had no idea what I was getting myself into, but would show up on her doorstep, an exhausted mess, every Friday night. I could never have imagined that soon my life would look very, very different. The power of the body revealed itself in such a potent way there was no turning back. I discovered that I could unlearn ways of being, which caused me to suffer and left me feeling lonely and frustrated. I watched myself transform from being a stressed out, rule-following, migraine-suffering, anxious business woman to a young woman who was now touching and teaching bodies of all different shapes and sizes, full of curiosity, her own fears and a deep yearning to uncover the more hidden aspects of herself. In 1997 I began to study bodywork and soon opened my private practice in San Francisco. Eventually, though, L.A. called me back home, because my heart and body crave warmth and sun. Now, twenty years, close to 3000 training hours and over 12,000 private sessions later, the complexities of the body and its connection to the human spirit continue to fascinate me. To this day, I love seeing a client’s face when they sit up after a session, having remembered a part of themselves that they had previously forgotten. I continue to be in awe of how in just one hour, clients can drop into their bodies and suddenly life looks completely different. I felt I had lost control of my life. But from this deep space of surrender, the next phase of my life’s work emerged. In 2015, three significant life events converged that changed everything: I ended a 5 year “on-again, off-again” relationship, I stopped attending and running workshops under the Grinberg banner, and the biggest one of all, I entered menopause. This convergence pushed me with a force that was more potent than anything I’d met previously, and quite honestly, it almost defeated me. Menopause changed everything. There was nothing in my life that it didn’t touch, from gray hair to stiff muscles and never-ending hot flashes, menopause told me that I was old now, and there was nothing I could do to stop it. It laid me bare. I felt I had lost control of my life, and all of my deepest insecurities came rushing out. I’m too old. I’m not worthy. I am not successful. Life has passed me by. What man will want me now. So for a full year, I surrendered to all of it. At times it was excruciating and raw. But from this deep space of surrender, the next phase of my life’s work emerged. I didn’t know shame and fear were at the core of my insecurities, until I recognized how hard I was trying to hide what was happening. I started to notice that the strong, powerful women who were coming to my sessions were doing the same thing. Hiding their insecurities, doing everything they could to mask what wasn’t perfect, and feeling deeply lonely inside. And that’s when I decided I wanted to teach women to face their shame and release their fears, so they no longer had to shrink and hide. The world would finally receive what they had to offer. This wish began only with women, but it turns out, men also want to move far beyond what society tells them they are supposed to be. I am now offering workshops to men as well.